Mountain High - Children’s Academy Rocks! Mountain High’s acclaimed Children’s Academy makes winter fun a priority for the kids….and for you! We accommodate ages 4 to 12 with terrific programs that will turn your never-ever into an all-mountain explorer in no time at all. 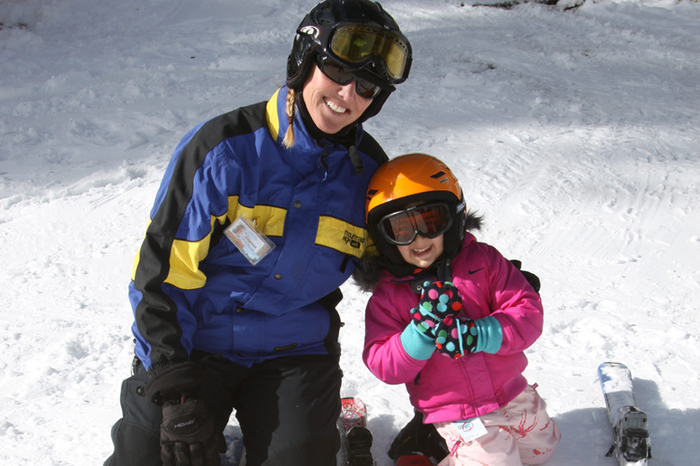 Lessons are available in both Full-Day and Afternoon sessions, and all packages include a lift ticket, rentals, snack or lunch, and an individualized progress card. Full-day enrollment is recommended for younger children as experience has shown they progress more rapidly and retain a greater amount with a full day of lessons. The Children’s Learning Center is located at the West Resort directly beneath the Bullwheel Bar & Grill. The facility is complete with ticket outlets, rental equipment, lessons, a sport shop and more. It is also adjacent the newly-enlarged on-snow area where a series of moving carpets help children learn at their optimum level.